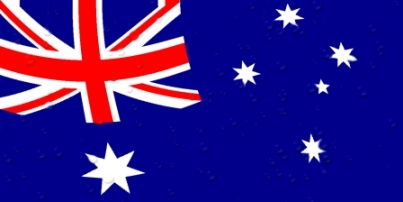 Australia Online Poker will be available for a few extra weeks, due to Parliamentary delays in ratification of the IGA. 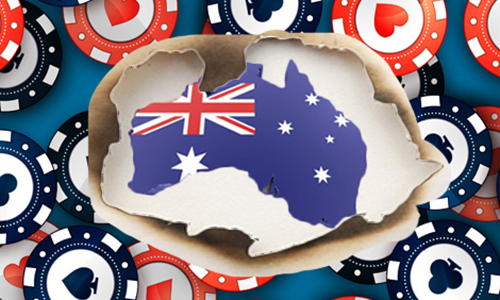 Australia’s online poker players will have a few extra weeks to enjoy their competition on the world’s largest online sites, due to a procedural delay in the country’s lower house of Parliament. Late in the week, the Australian House of Representatives failed to get through a laundry list of dozens of bills needing approval. The Senate-approved amendments to the Interactive Gambling Amendment Bill 2016 (IGA), through which online poker will be unofficially but effectively banned due to the lack of a regulatory framework, required House approval to go into effect. However, several dozen other measures were given priority on the week’s docket. As a result, the IGA will be placed on hold for several more weeks, until the next slated session of bill approvals by Australia’s House. That session won’t begin until May 9th, meaning that the earliest date the IGA could go into effect — following House approval and the perfunctory “Royal Assent” — would be mid-June. News of the delay in the IGA’s approval was met warmly by Aussie players, but with the knowledge that the reprieve will be short-lived. Nonetheless, a few extra weeks of online action for the country’s online players means they’ll have a chance to participate in major online series, such as PokerStars’ upcoming SCOOP (Spring Championship of Online Poker). The Australian Senate recently passed the Interactive Gambling Amendment Bill (2016) and it now sits with the House of Representatives. The bill will effectively ban all online gambling sites that are not locally licensed under Australian State or Territory law. It’s with great sadness that we have to say that if this bill is passed it means we will have to halt real money poker play for you and all other Australian players. The next legislative session is in May. We will keep you informed at every step. Australian poker players have built up a fantastic community over the last couple of decades and we’re proud of the part we’ve played in helping it to grow and welcoming so many great Aussie players to our tournaments around the world. Before we go any further, let us say that your funds are, and will continue to be, safe and available for withdrawal, and that you can continue to play at PokerStars until further notice. We respect the Australian Government’s intentions. Keeping players safe is a mission that we share wholeheartedly. We’ll work as hard with governments and regulators around the world as we do internally to ensure that PokerStars provides the safest and fairest games around. We’re committed to keeping you informed and to support the game in all its shapes and sizes, wherever it may be in the world. We will continue to be actively engaged in lobbying for the safe and sensible regulation of online poker, both in Australia and elsewhere. On that last point, the campaigning that the Australian Online Poker Alliance did in the run up to the bill being passed should be applauded. They did a great job in educating politicians and the Australian public at large about the game we play and have indicated that they intend to continue campaigning for sensible poker legislation. If you’d like to find out about how you could lend your support to the alliance and the cause of online poker, then please click below. Crikey playing poker what next. Hasn’t the Government interfered with our personal life enough. No wonder Aussies are turning against you guys leave us alone. You are pretending to be concerned for us meanwhile trying to cash in like always.